Ford Fiesta ST Fog Light LED Bulbs! Luxeon LED Replacement Housings! Yellow Models! 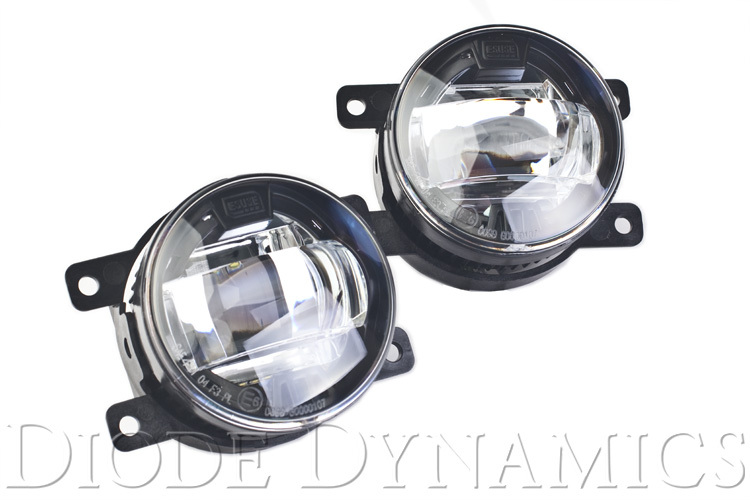 Thread: Ford Fiesta ST Fog Light LED Bulbs! Luxeon LED Replacement Housings! Yellow Models! We carry the brightest, highest-quality bulbs at the lowest prices. Your order will ship same day, and we're here if you need us for support and service. These LED bulbs are designed by us here in St. Louis, and every bulb carries with it a three-year limited warranty. 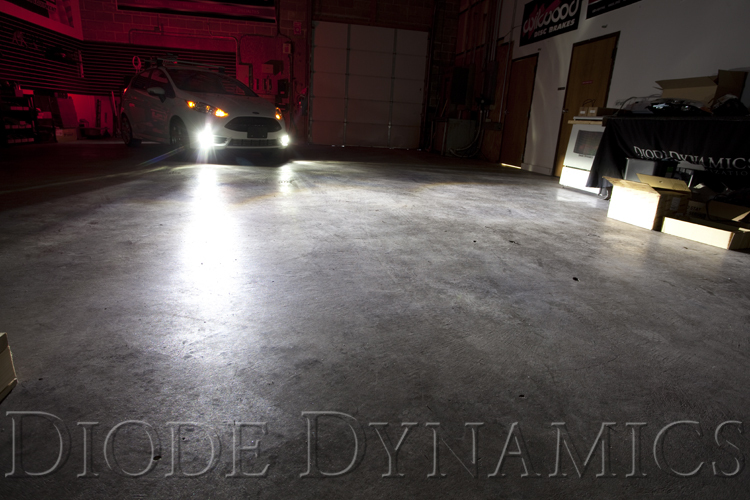 Diode Dynamics offers several brightness options so you can choose what fits you best. These options are listed by the design and the lumen output of each bulb, compared to the factory bulb. HP48: 265 lumens. Slightly lower brightness than factory. XP80: 510 lumens. Similar brightness to factory. XML2: 1410 lumens. Much brighter than factory. These are bright! HP48: This bulb is designed with 48 Epistar 3014 LED chips. Thanks to the cap on the top, the light from this High Power Bulb is shined backwards and away from the bulb, not straight out. This means the output is excellent, because it uses the vehicle's housing completely, which then shines the light much more uniformly. XP80: Each of the four sides of this bulb contains three 5W-rated chips, and the top is fitted with four more, under a projector lens. This is the brightest self-contained automotive LED bulb on the market, and is housed in an aluminum casing with a textured finish for maximum heatsinking properties. XML2: NEW! Two opposing genuine CREE XM-L2 chips, driven at high power by self-contained regulator unit, in an attractive cast-aluminum housing. Fully waterproof, non-polar, modular design. These bulbs are made up of a quality plastic connector to slide right into the plug, as well as high durability terminals. A load resistor is embedded to prevent blowing the LEDs from voltage surge, and a diode is implanted to protect the LEDs from reverse polarity. The LED is wired for 12V operation, the kind found on all modern vehicles. Luxeon LED Replacement Housing: Integrated projector lens distributes light in a wide, even pattern, compliant with DOT and ECE standards for use on-road. With a durable poly-carbonate lens, aluminum housing, and constant-current drive circuit, these LEDs will be durable and reliable for years to come. All of our products come with a 30-day satisfaction guarantee and a 3-year limited warranty. Last edited by Diode Dynamics; 01-11-2016 at 07:50 AM. 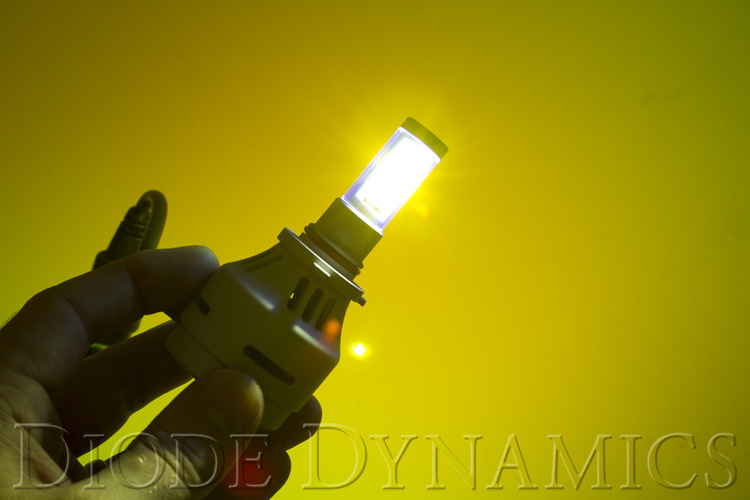 Diode Dynamics is pleased to announce a new color for our popular XML2 fog light -YELLOW (3000K)! The XML2 utilizes genuine CREE XML2 components, for a true, measured output of 1,420 lumens. 100% plug-and-play. Sizes available include 9005, 9006, H8, H10, H11, H16, and PSX24W. 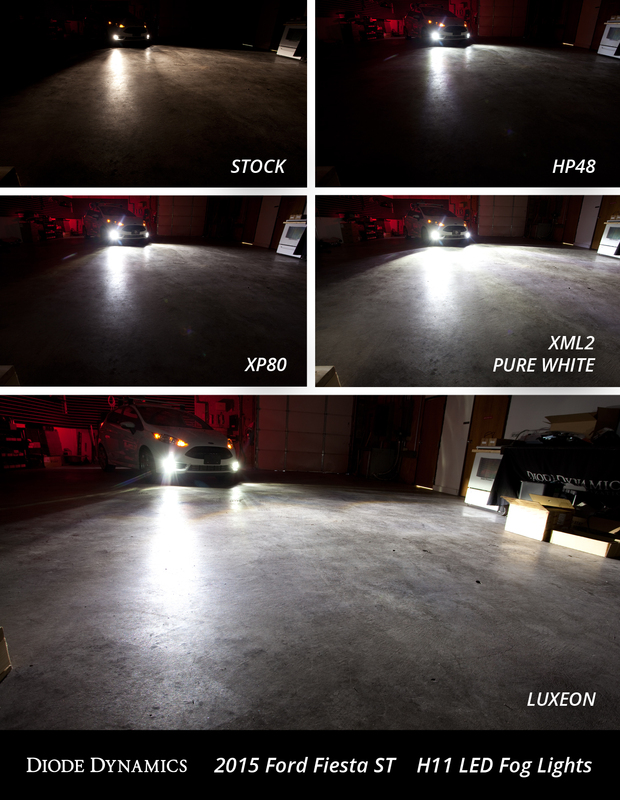 These are really good fog lamps and make a difference in appearance/function; I went to last month's Cars & Coffee in Dallas with lights a blazing.... I've also purchased the LED switchback turn signals, tail lights, back up lights, and rear plate light...you might say I'm all lit up! I'm not on the forums much but thanks for the great products. I have the fog assemblies and the switchbacks. They match color (sweet!) and are bright as fck. I've had a Honda Pilot high beam flash me as they thought I had the high beams on. Awesome! Where is the link for this? I'd love a yellow, brighter fog. To go down the mountain, first you have to climb it.